With the Great Central Railway-based diesel brake tender nearing completion, Nick Pigott tells the story of a unique new-build project. MANY types of modern traction-era rolling stock have survived into preservation, but a notable exception is the diesel brake tender. These extraordinary vehicles were introduced in the early 1960s when British Railways realised that many of its new diesel and electric locomotives were unable to match the braking force of their steam predecessors when hauling heavy unfitted goods trains. 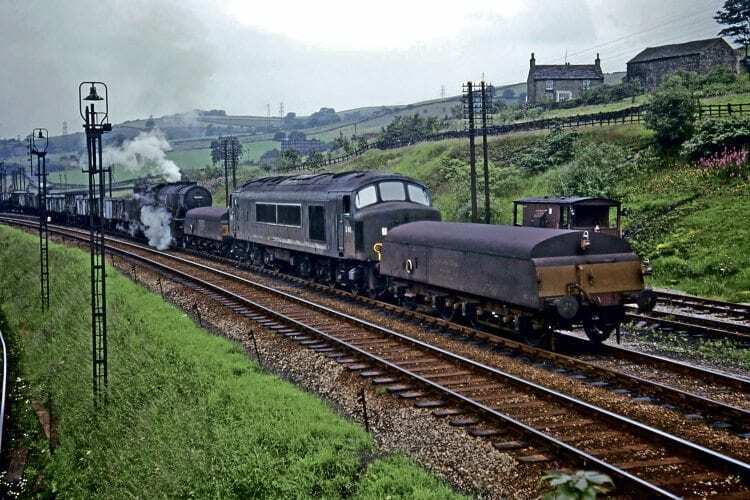 A total of 122 were built and were common sights in the 1960s and 70s, particularly in intensive freight areas such as the East Midlands and the North East. Increased use by BR of fully fitted and air-braked trains gradually rendered them redundant and by the early 1980s all had been withdrawn from service. Unfortunately, the entire fleet went for scrap, for with the diesel preservation movement still in its infancy at that time, the saving of locomotives naturally took precedence. This state of affairs lasted until the start of the present decade when a group of volunteers from Great Central Railway-based Railway Vehicle Preservations Ltd (RVP) – inspired by the many ‘Lazarus’-style new-build loco projects in Britain – decided to resurrect the brake tender design by constructing one from scratch. “Never go down to the pub with us unless you want to become entwined in some crazy scheme that will cost you money,” laughed RVP’s Brian Hallett as he told me how the project was conceived. “Some of the lads who’d worked on the restoration of our travelling post office vehicle had met up for a few bevvies in Burton-upon-Trent and the conversation got round to ‘ones that got away’. One member of our crew, Phil Stanbridge, recalled seeing brake tenders running through Burton in his youth and a quick search on the Internet soon confirmed that none had survived.